Despite improvements in workplace safety, hand injuries remain one of the most frequent types of workplace accident. A common reason for this is workers removing gloves because their current option lacks the required levels of dexterity to allow them to do their job comfortably. Below, we look at why comfort and dexterity in safety gloves is vitally important in allowing workers to do their job safely and in return reduce hand injuries. Comfort does not have a grading system like cut levels, but that does not mean that it shouldn’t be considered when choosing gloves for your workforce. Gloves that are bulky, thick or uncomfortable to wear are more likely to be removed by employees leaving them at higher risk of injury. Recent industry research showed that around 70% of hand injuries occurred when no gloves were worn at all with many of those commenting that their current gloves were ‘uncomfy’ so they simply took them off. Dexterity can sometimes be a secondary consideration to the level of protection when specifying safety gloves. It could be tempting for H&S Managers to select the highest levels of protection that can be afforded thinking they are reducing risk, but instead not considering feasibility for the job at hand and potentially increasing the risk of injury. By definition, dexterity refers to the ease at which a task can be performed easily using your hands. The first iterations of safety gloves were big, thick, leather gauntlets, created to increase protection from cuts and abrasions, with little shaping or consideration of wearability. Furthermore, as they were not breathable, they made hands hot and sweaty. In the end, people just took them off to carry out the works and the conundrum of cut protection vs comfort and dexterity began. Thankfully those days are long behind us and much progress has been made in the industry with innovative glove manufacturing techniques widely used, contributing to a far greater balance of comfort and dexterity with cut protection. 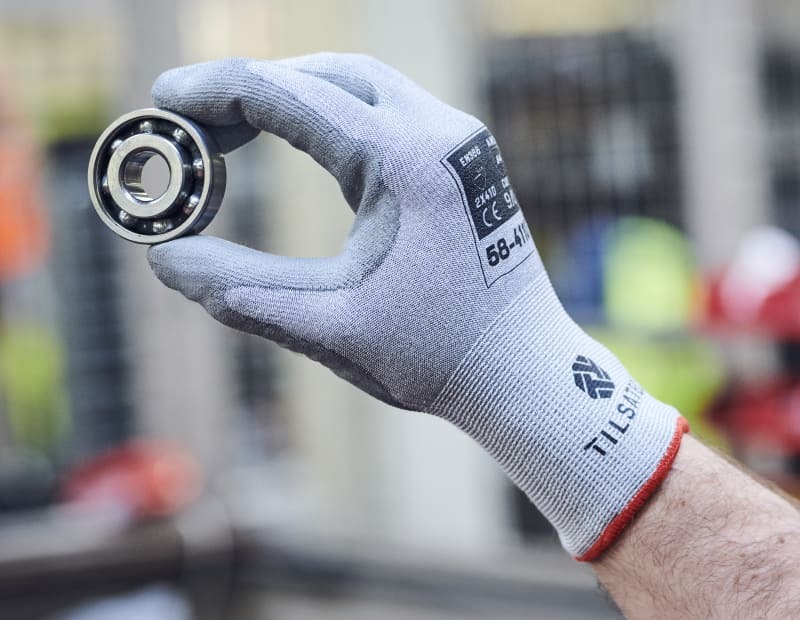 As innovations continue to improve how gloves are made, the levels of comfort and dexterity achievable continues to increase, improving worker acceptance, helping to reduce injury time and associated costs of injuries to the business. If you are looking for cut resistant hand and arm protection solutions that combine high levels of comfort, dexterity and tactility without compromising on protection see our coated cut resistant range here.